Embark on a journey through a changing world of oddball creatures, off-the-wall action, and outlandish goons. 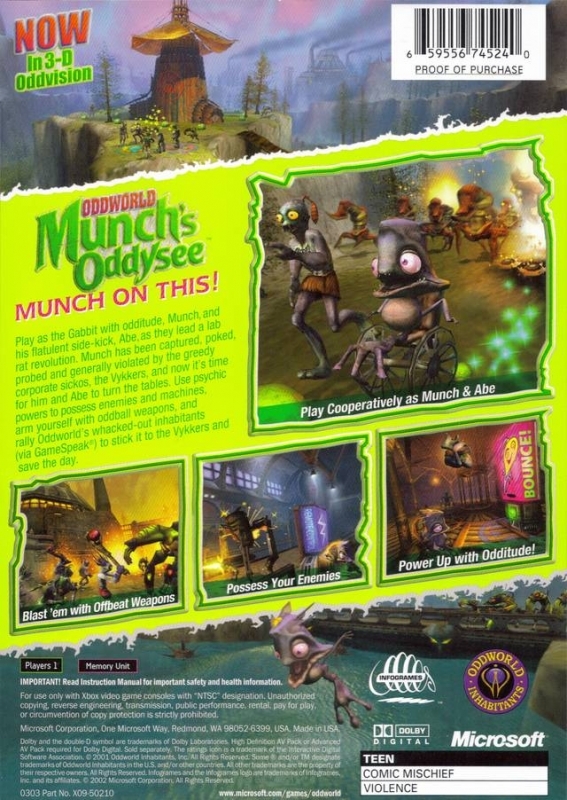 Guide Abe and his aquatic partner Munch—using psychic powers, cool power-ups, and other special abilities—tosave the last Gabbits on Oddworld. 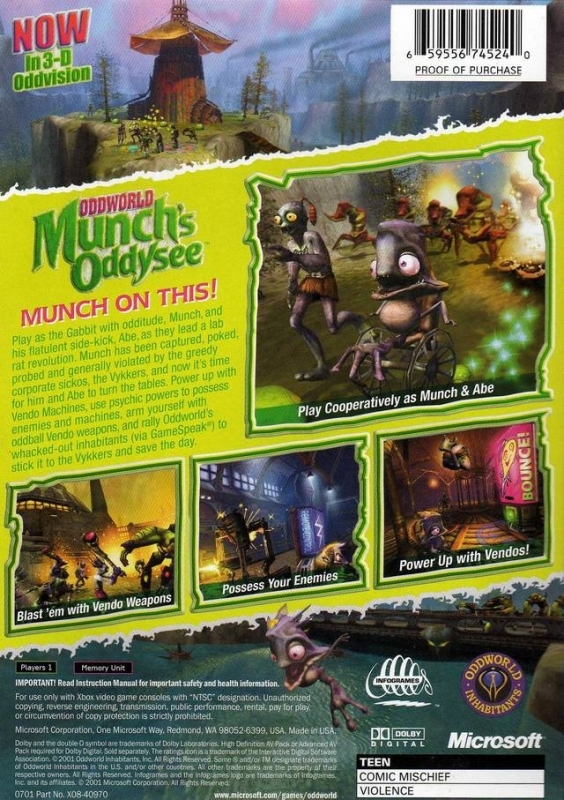 Play as a team: Players use Munch and Abe cooperatively to make their way through the trials of Oddworld. Leverage both characters' unique strengths. Abe can climb and jump to reach new areas and then run to escape from dangerous enemies. When all else fails, chant to take control of the enemy's soul, and use that enemy's guns to clear a path to safety. 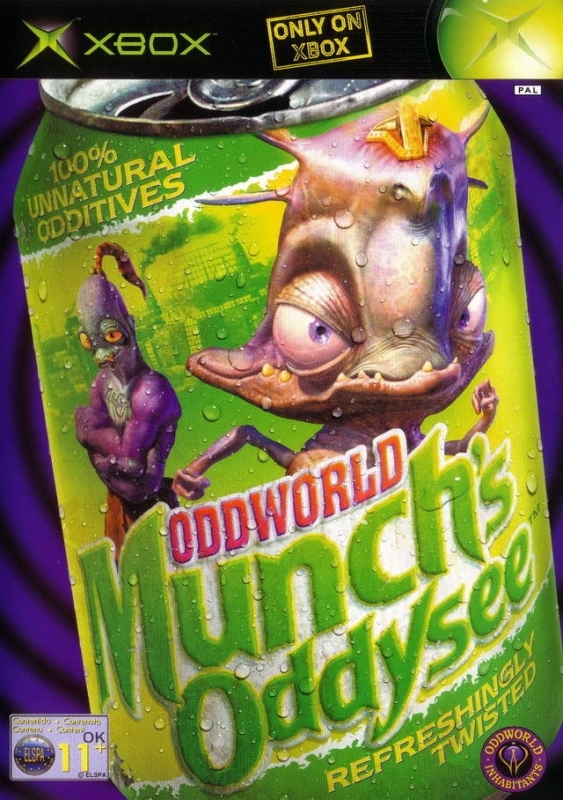 Munch can swim around the new realms of Oddworld. When on the ground, zip along with a wheelchair get up.Need to move some yapping Slogs out of the way? Just use Munch's nifty, remote-control head port to fire up the crane, and drop those Sloggies in their pen. Let Abe's chant roar to take possession of a gun-toting Big Bro Slig and clear almost anything out of the way. Abe can use spooce or spiritual power, gained by harvesting SpooceShrubs, to posses other creatures as well ...but why think small? If Abe can't mesmerize someone into getting the job done, Munch can use his handy, remote-control head port to hijack nearby machines, such ascranes and 50-caliber Anesthesia bots that cantackle the really tough obstacles. Power-ups: Need to get somewhere quickly or get over a wall? 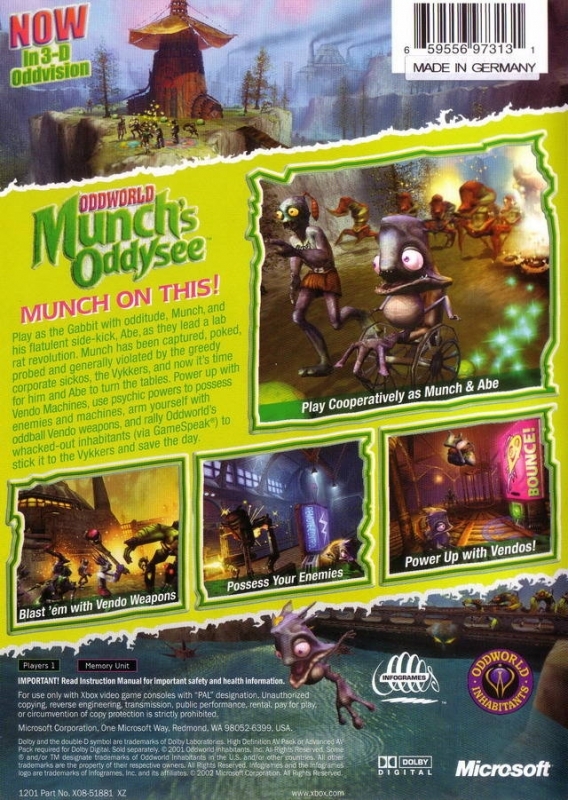 Use Oddworld's consumer power-ups like Expresso and Bounce to amp up Munch and Abe's abilities to perform cool moves. For the more direct approach, possess high-caliber, weapon-toting enemies. 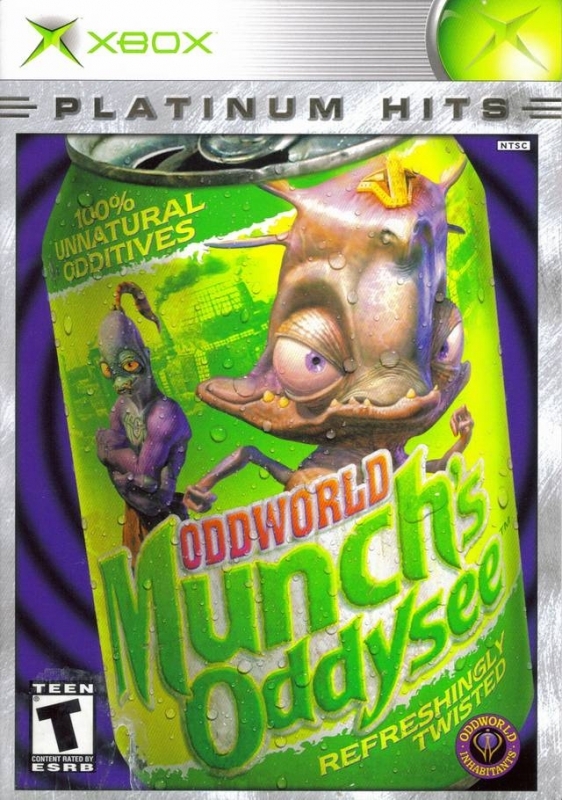 New-and-improved, 3-D graphics: It's a whole new Oddworld, with lush rivers, towering mountains, and hundreds of trees that bloom or die. These graphics areso amazing, only the Xbox can bring them to life. 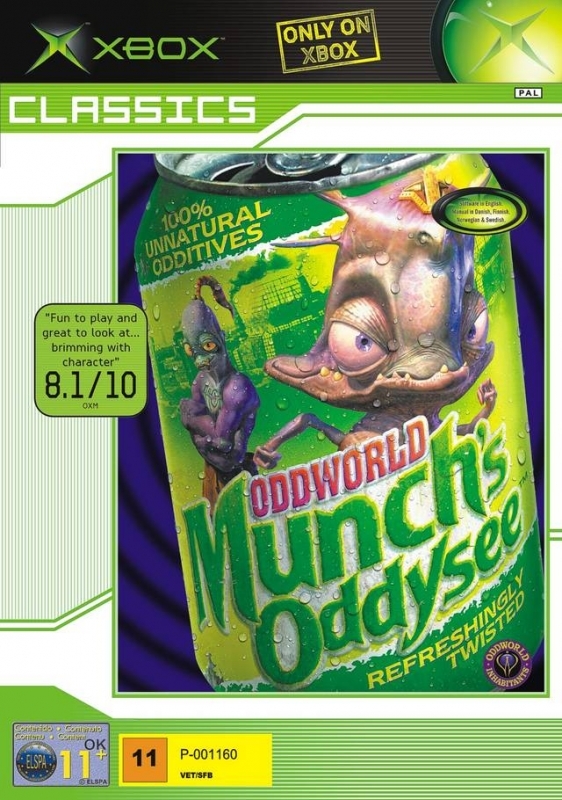 Interact with dozens of different oddball races:Use GameSpeak® to get Oddworld's inhabitants—from the heavily armed Big Bro Sligs to the cute but ferocious Fuzzles—to carry out tricky tasks, or just beat the crap out of enemies. 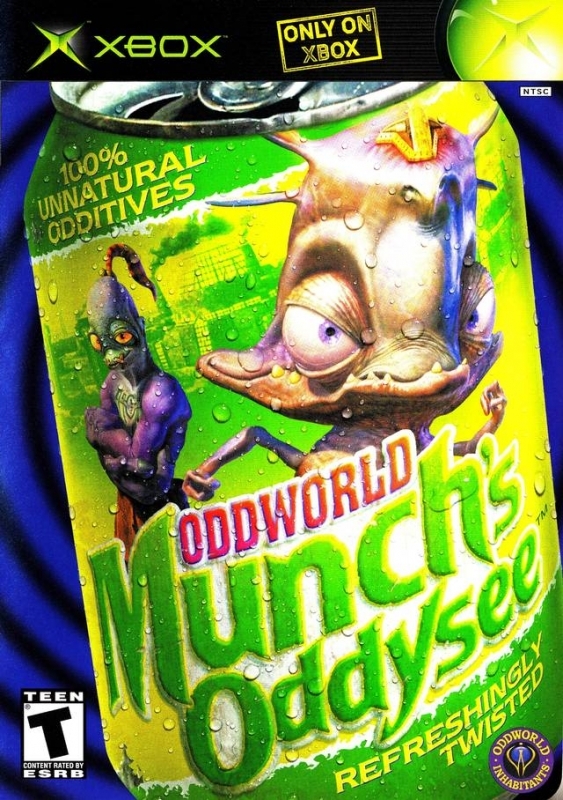 "Frustration Free" gaming: Oddworld's new, intelligent, cinematic camera; auto-targeting system; and no-stick navigation system make playing a breeze! Plus, with QuikSave® and limitless lives, players have plenty of chances to take on any situation … no matter how odd! This game was fun as hell. But still, I liked the first 2 more. Not the best. But quite likely, one of the best. Happy to hear than Inhabitants are back! It was the best. It was made by a developer who believed in creative vision over allowing people to "pwn noobs" online. Not the best. 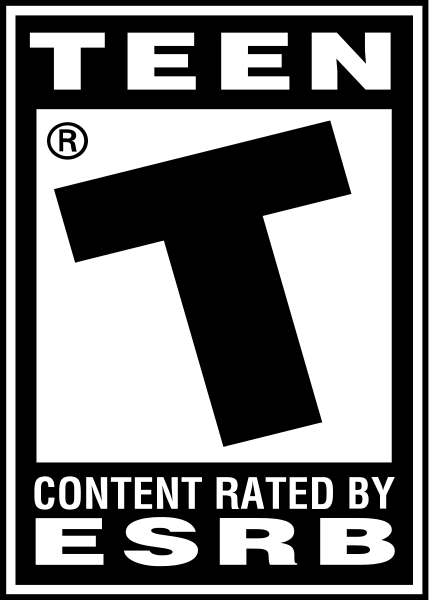 But who the hell would rate it so lowly? It can truly be a puzzling game, you can save anywhere, the humor is pretty good, and it's just fun. What's not to love? The best game on the Xbox.